Victory for sexual health services campaigners! Unison branch members were delighted to hear at their Annual General Meeting last night (20th March) that the city council has put on hold plans to privatise sexual health services in the city. A speaker from Sussex Defend the NHS campaign confirmed that the council had put its plans on hold after a concerted campaign to keep the services in-house with the NHS. The Unison AGM agreed to donate £200 to the campaign and support NHS colleagues who are now campaigning against possible privatisation of substance misuse services in the city. 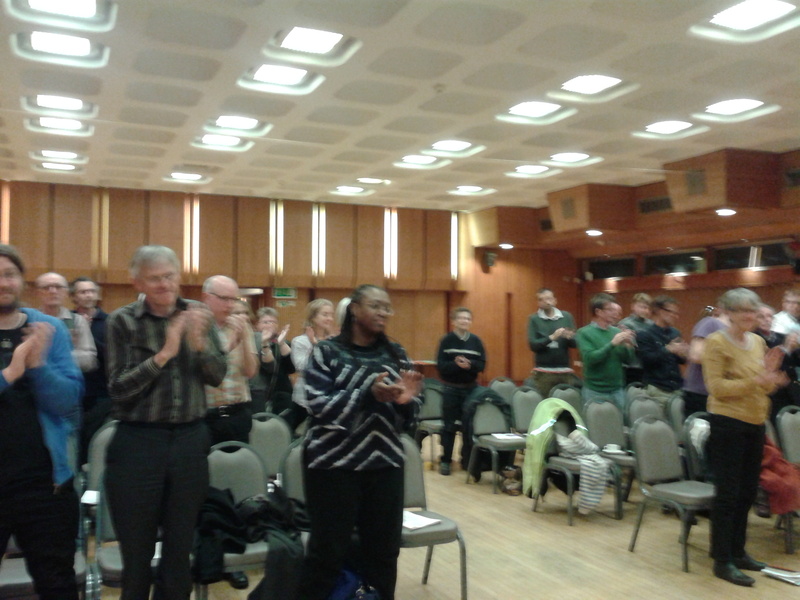 At the beginning of the meeting members marked the tragic passing of Bob Crow and Tony Benn with a one-minute standing ovation, as our picture above shows.